A team of researchers from Sweden published a study in Swedish Medical Journal that evaluated the effect of microwaves in the treatment of diabetes mellitus. It was evaluated that 195 patients suffering from diabetes were provided microwave therapy that accelerated carbohydrate metabolism, improving peripheral circulation immensely. Though diabetes can be prevented and treated, it can never be completely cured. New technologies and theories are being explored to treat diabetes and one particular theory involving microwave therapy is gaining accolades globally. A team of researchers from Sweden published a study in Swedish Medical Journal that evaluated the effect of microwaves in the treatment of diabetes mellitus. It was evaluated that 195 patients suffering from diabetes were provided microwave therapy that accelerated carbohydrate metabolism, improving peripheral circulation immensely. 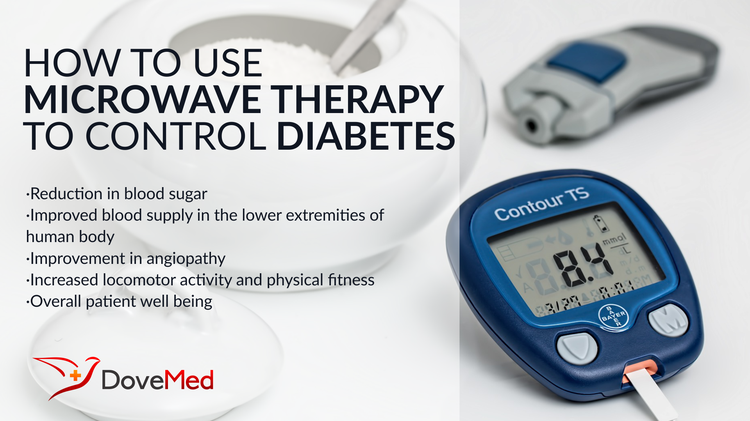 The beneficial effect of microwave therapy on the clinical and metabolic characteristics of patients suffering from diabetes is likely to be enhanced by continuous exposure to microwave therapy. Apart from considerably decreasing the symptoms of diabetes, the exposure to microwaves also improved the parameters of the immune system. It also increased the content of essential hormones in our body, like cortisol and adrenaline, by 23% and improved general well being. Among the positive clinical effects, other diabetic conditions that were reduced included relief of dysmetabolic syndrome and dysfunctions of the vascular system. This resulted in overall enhancement of a diabetic patient’s quality of life considerably. Bundyuk and colleagues (2004) researched microwave resonance therapy, which combines energy therapy with Chinese medicine, and they inform that it may find use in controlling blood glucose levels by even correcting the physiological imbalances in patients with hyperglycemia (a high blood sugar condition). Additionally, microwave cooking has two other key advantages. It can help cook delicious meals in no time, but also provide a meal that diabetics can take advantage of. Cooking that involves heating processing methods are known to contain high levels of advanced glycation end products. Such dietary advanced glycation end products (dAGEs) have been associated with cardiovascular conditions and diabetes. A 2010 report published in the Journal of the American Dietetic Association mentions that microwaving of foods did not increase their dAGE levels as much as other cooking methods like frying, grilling, and roasting did. Uribarri, J., Woodruff, S., Goodman, S., Cai, W., Chen, X., Pyzik, R., ... & Vlassara, H. (2010). Advanced glycation end products in foods and a practical guide to their reduction in the diet. Journal of the American Dietetic Association, 110(6), 911-916. Hornback, N. B., Shupe, R. E., Shidnia, H., Joe, B. T., Sayoc, E., & Marshall, C. (1977). Preliminary clinical results of combined 433 megahertz microwave therapy and radiation therapy on patients with advanced cancer. Cancer, 40(6), 2854-2863. Devonec, M., Carter, S. S. C., Tubaro, A., de la Rosette, J., Höfner, K., Dahlstrand, C., & Perrin, P. (1995). Microwave therapy. Nelson, A. J., & Holt, J. A. (1978). Combined microwave therapy. The Medical journal of Australia, 2(3), 88-90.